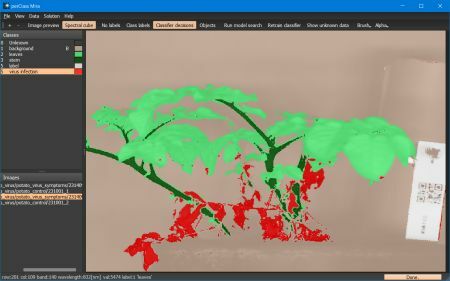 Detecting virus infection in potato plants using spectral imaging. Specim sensor. On healthy plant learning to separate leaves and stem from a general background and a plastic label. Background is highly multi-modal. On a diseased plant providing examples of a virus infected leaves.